What if there was a tool available that allowed for you to save up to a quarter of your operational costs? Studies have shown that Enterprise Resource Planning (ERP) solutions enable businesses to access accurate, real-time information about daily operations which allow for the reduction of operational costs of up to 23% and administrative costs of up to 22%. 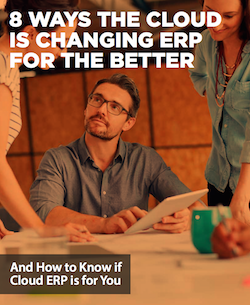 To learn more about how ERP solutions are becoming more manageable for all business and the benefits they provide, download and read our white paper 8 Ways the Cloud is Changing ERP for the Better.